MOTHERS MAY GIVEAWAY – Because your mum deserves more than a day! Like, Comment and Share an official post for another entry. Each like, comment and share counts as one entry, and you can enter as many times as you like! 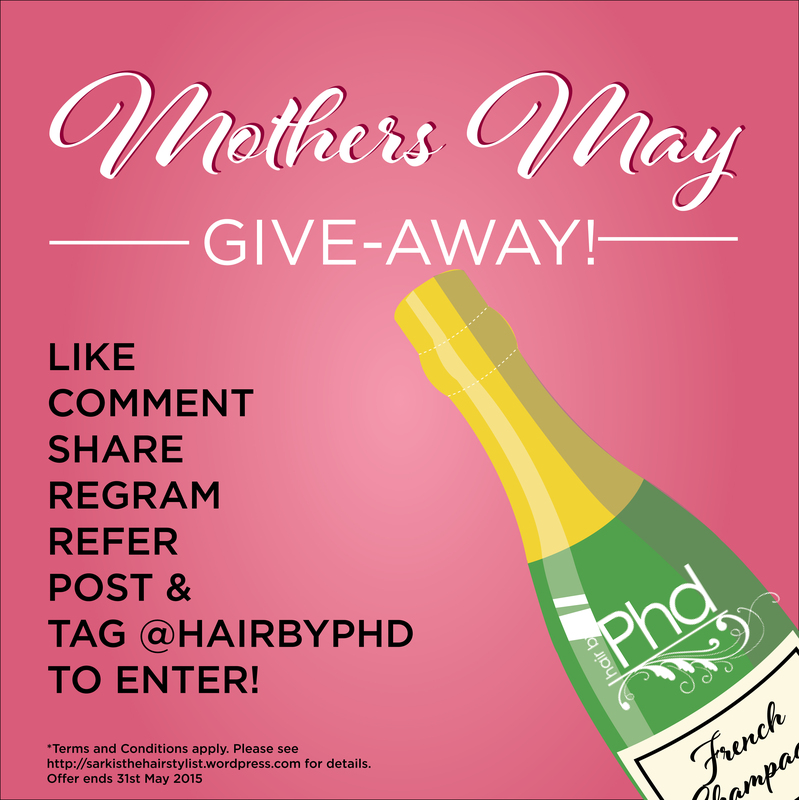 Just remember to tag #hairbyphd and #mothersmay so we can find your entries! Refer a NEW customer to Hair by Phd at either our Parramatta or Carlingford salons, and have them quote the code ‘MMGA2015’ for another entry into the draw. Terms and Conditions: Terms and conditions do apply, and are subject to change. Offer ends 31st of May, 2015 at 11:59pm. The winner will be announced on the 4th of June, 2015. Only open to Australian Residents. Champagne available on collection from our Parramatta Salon only. Shipping can be negotiated at the clients cost. Unlimited entries possible, but must fulfill all requirements as layed out above. The winner agrees to be photographed for the purposes of promotion with their prize, and their image can be used by Hair by Phd and any of its representatives for promotional purposes only. Not to be used in conjunction with any other offer. Formal Season Has Arrived At Hair by Phd!